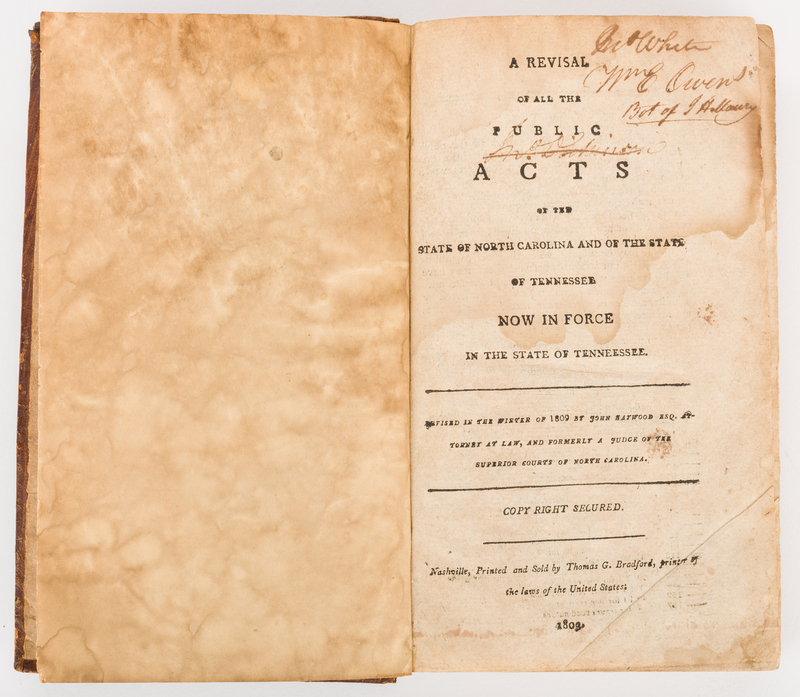 REVISAL OF ALL THE PUBLIC ACTS OF THE STATE OF NORTH CAROLINA AND OF THE STATE OF TENNESSEE NOW IN FORCE IN THE STATE OF TENNESSEE advised in the winter of 1809 by John Haywood, Esq., Attorney at Law, and formerly a Judge of the Superior Courts of North Carolina, printed and sold by Thomas G. Bradford, Nashville, 1809. 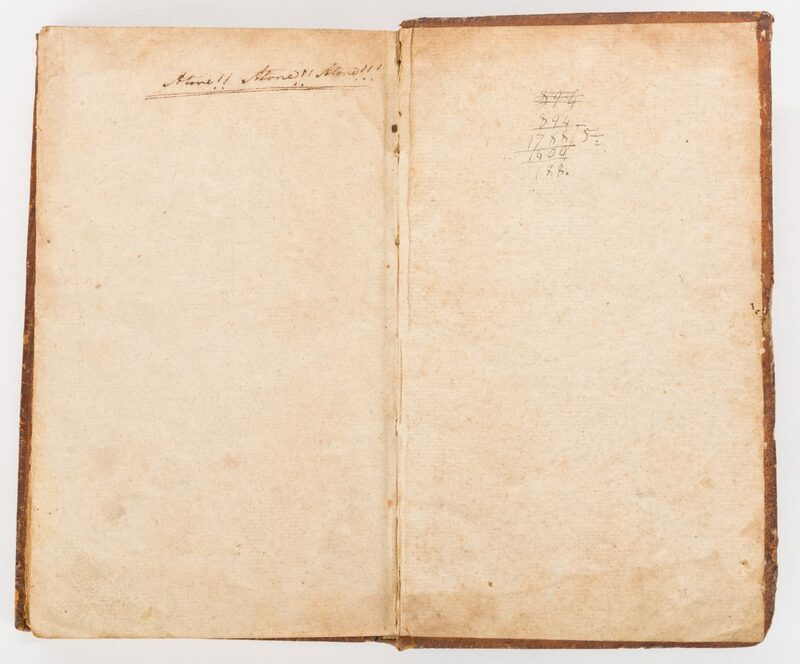 Quarto, 474 pages with Index. 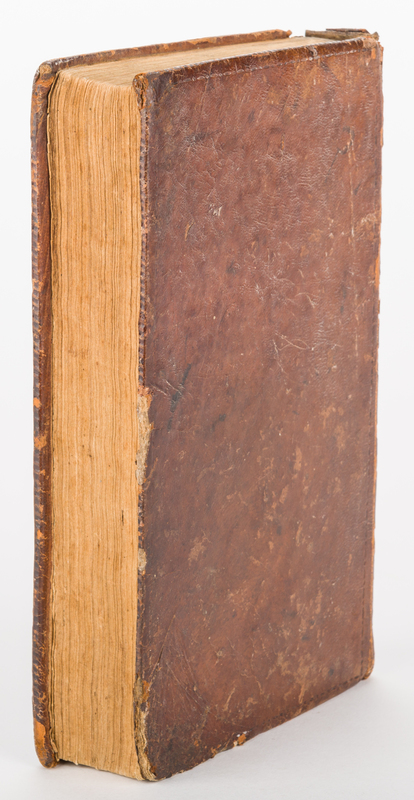 Hard bound in brown leather with gilt title lettering on spine. 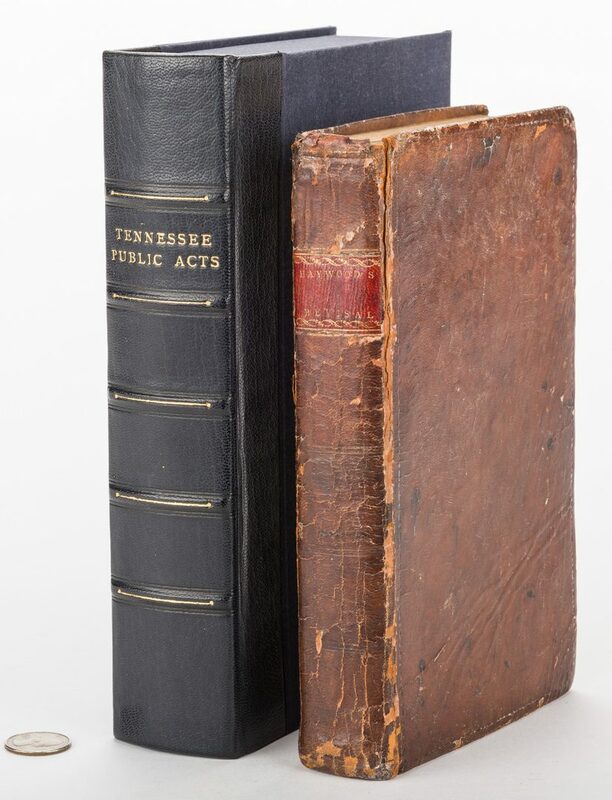 Housed in archival box with navy cloth boards, black leather half-binding with gilt title lettering and five raised hubs, black velvet interior. 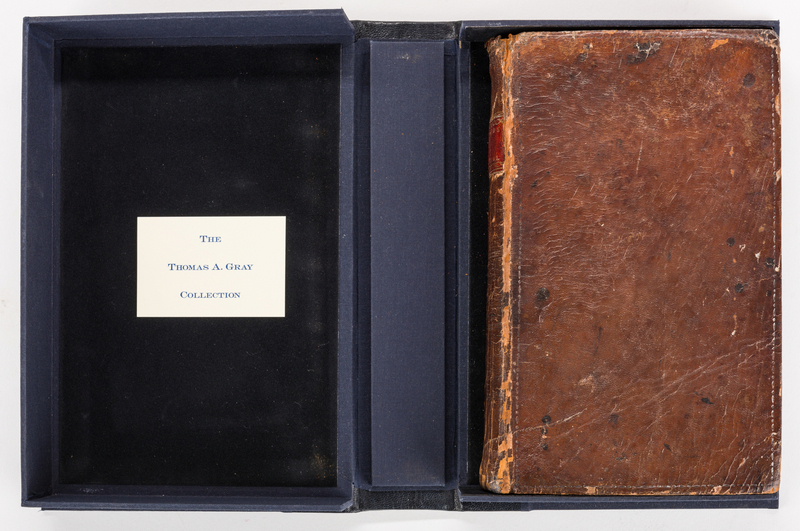 Book – 8 7/8" H x 5 1/2" W x 1 1/2" D. Archival Box – 9 3/4" H x 6 3/4" W x 2 1/4" D. Provenance: Anne P. and Thomas A. Gray Library and MESDA Research Center. CONDITION: Overall good condition. Foxing spots, surface of sheets. Toning impression of previous page, surface of sheets. 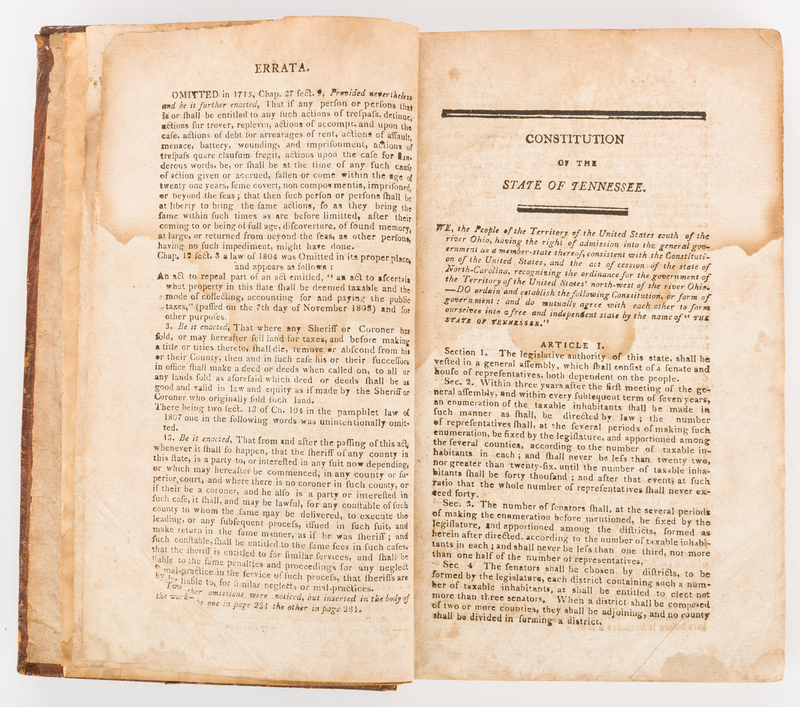 Areas of dampstaining, inside of back cover and first approx. 55 pages. 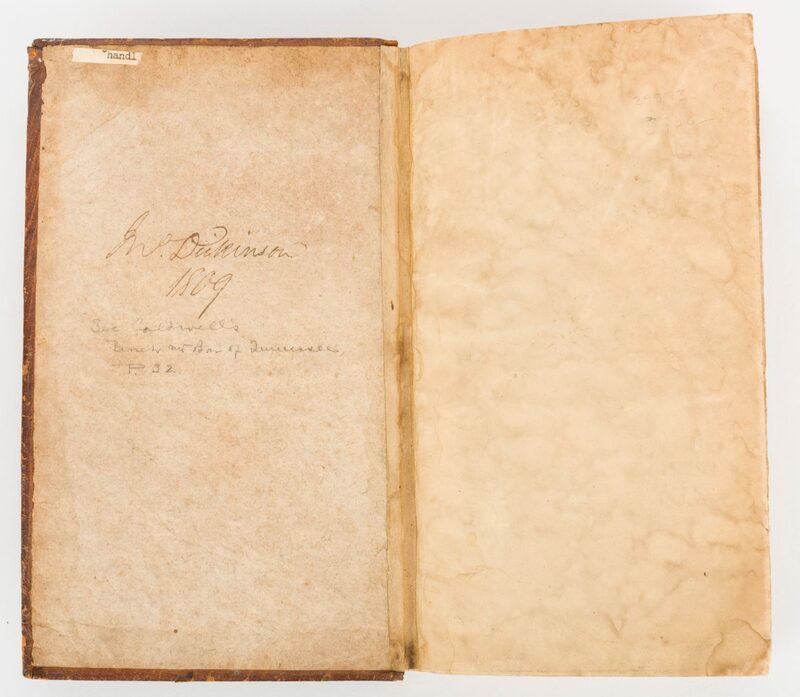 Personal inscriptions, inside front and back cover, front and back end papers. Cracks, areas of loss, largest 5", surface of spine. Covers in worn condition, with cracks, wrinkling, stains, to be expected from age.